Japanese electronics engineer Sako Hasegawa, JA1MP, established Yaesu Musen Company during 1959 in the Tokyo suburb of Yaesu. Prior to this date he had been operating a company called General Television Co Ltd in Ota-ku, Tokyo since 1956. His first SSB Equipment had been manufactured under the General Television Co Ltd name in 1957. Sako Hasegawa's ambition appears to have been to design and manufacture modern HF single sideband equipment (initially transmitters) for the amateur radio market. Yaesu Musen Co's first product was a crystal controlled monoband 40 metre transmitter, the FL-10/40. Quickly following on its heels was a 5 band crystal controlled mechanical filter HF transmitter called the FL-20. Finished in grey crackle paint, it featured a built-in power supply, VOX and was only 250 x 380 x 180 mm in size. In Japan the FL-20 sold for 49,800 Yen, equivalent to approximately 62 Australian Pounds in 1963. Outside Japan, Australia and Germany were the first two countries to have Yaesu Musen Co. SSB equipment available to their radio amateurs. Bail Radio & TV Service introduced the Yaesu name to Australia in April 1964, while Sommerkamp also started selling Yaesu SSB transmitters in Germany around the same time. United States radio amateurs didn't see Yaesu Musen Co. radio equipment in their stores for another 3 to 4 years. This web site is devoted to some of Yaesu Musen' Co's lessor known radios and the history of their introduction to Australian radio amateurs by Bail Radio & TV Service / Bail Electronic Services in the early 1960's. 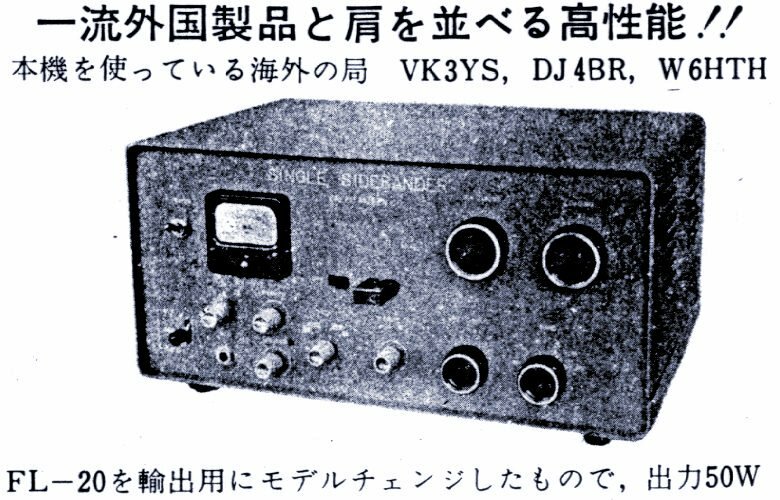 Above is an extract from a Yaesu Musen Co. ad which appeared in the Japanese CQ Magazine, August 1963 issue. It depicts Yaesu's then current model crystal controlled mechanical filter 5 band HF SSB transmitter, the FL-20 (a Mark 1 version in this case). 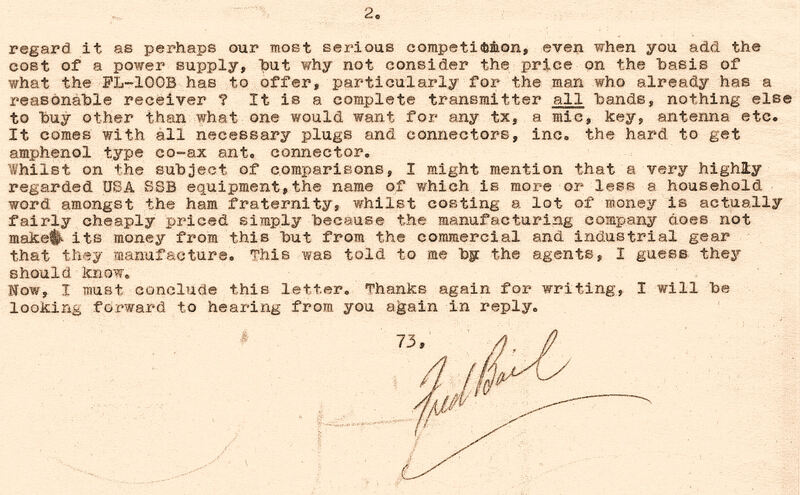 Note Yaesu's reference to overseas users of their FL-20, particularly VK3YS, Fred Bail, who with his brother Jim Bail, VK3ABA, were soon to introduce Yaesu Musen, and with it cost effective HF single sideband operation, to the Australian radio amateur. 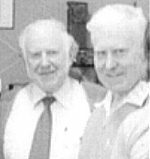 Although Fred Bail owned and operated a Mark 2 FL-20, which he purchased from Yaesu Musen Co. while on a visit to Japan in 1963, the FL-20, FL-20A and FL-20B were never sold by Bail's in Australia. The author currently owns Fred Bail's original FL-20, the very first piece of Yaesu equipment to ever come to Australia as well as the only FL-20 ever imported into Australia to the author's knowledge. A partial circuit diagram of the FL-20, its Block Diagram and photos of the Mark 2 version and an FL-20B are shown here. Also available on the Japanese market at the same time was Yaesu Musen's FL-100 (which also never sold in Australia). 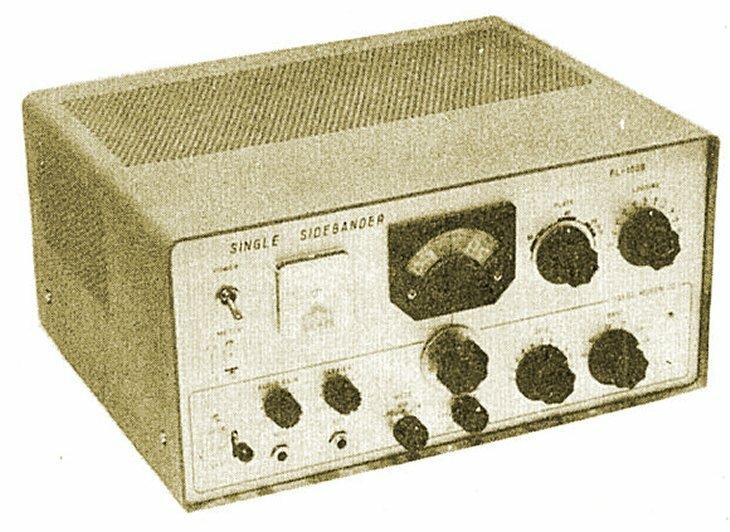 Like the FL-20, it was a crystal controlled 5 band HF transmitter but with an SSB power input of 100 watts PEP (a VFO controlled transmitter was not available until the FL-20B and FL-100B appeared early in 1964). Between the models FL-20 / FL-100 and the FL-20B / FL-100B were the FL-20A and FL-100A. Both were crystal controlled 5 band HF SSB transmitters but had somewhat improved appearance to their predecessors. As a point of interest, Yaesu Musen Company's title was derived from the name of the Tokyo district of Yaesu, where the company's founder, Sako Hasegawa JA1MP, first started operations. Musen being the Japanese word for radio! From mid April 1964 Australian radio amateurs were able to buy the first Yaesu radio sold in their country. Called the FL-100B, it was a mechanical filter based 5 band HF SSB transmitter with a built in power supply, VFO and 100 Watts PEP input. Bail Radio & TV Service sold the FL-100B direct throughout Australia from their premises in the Melbourne, Victoria, suburb of Box Hill. As can be seen in the ad above, from the Wireless Institute of Australia's March 1964 issue of Amateur Radio magazine, Fred and Jim Bail were at the time also still operating their radio and TV repair business which they had started in 1956. It would not be long, however, before the new Yaesu HF SSB equipment's popularity in Australia saw the Bail's relinquishing their radio & TV repair interests to concentrate wholly on representing Yaesu Musen Co in Australia. The change of business direction also accompanied a change in business name to Bail Electronic Services. 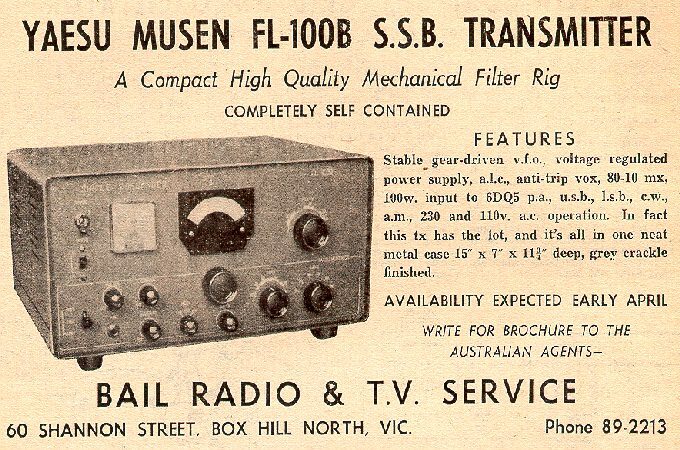 Although the photo in the ad above (as well as that depicted immediately below) shows the FL-100B Mark 1, the first shipment of Yaesu Musen transmitters to come to Australia were in fact the Mark 2 version, with its approximate 1 KHz tuning knob calibration. The photo immediately above is of an FL-100B Mark 2, the same as was first offered to Australian amateurs in April 1964. Note the main tuning dial escutcheon, not provided on the Mark 1 unit, which gave a frequency resolution of approximately 1 KHz. 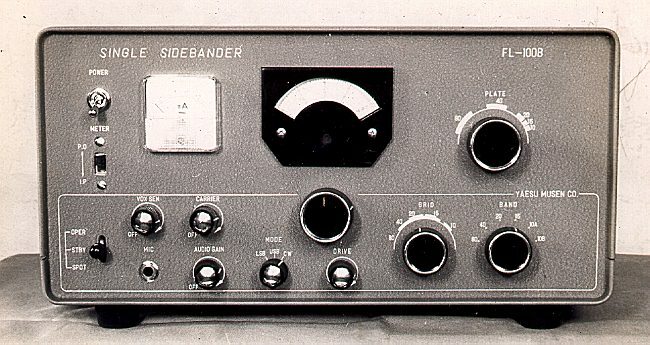 Finished in a grey crackle paint with white lettering and black knobs, the FL-100B Mark 2 (it was never officially know as the Mark 2, other than within Bail's organization) was an attractive piece of equipment to have in one's ham radio shack back in April 1964. 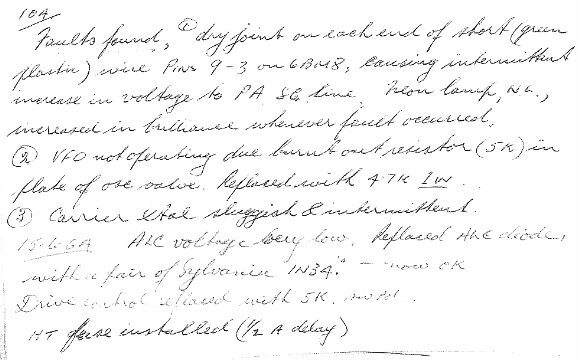 However VFO drift, considered excessive by the Bail brothers, saw them spending many hours conducting temperature runs in a quest to alleviate the problem before allowing the transmitters to be sold. Instruction manuals were all in Japanese, necessitating Bail's to take on the task of English translation. Once they had produced an English manual, its manuscript was sent to Yaesu Musen Co. who then had the benefit of use of it in other English speaking countries. This situation continued whenever new equipment was released, even into the early 1970's . 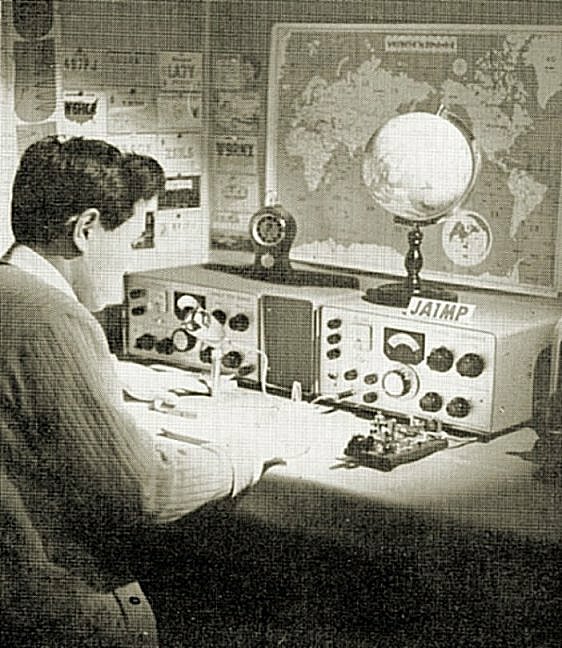 At this early stage of introducing Yaesu to the Australian ham, Fred and Jim Bail worked very hard in an effort to have the equipment well accepted and gain a good name. 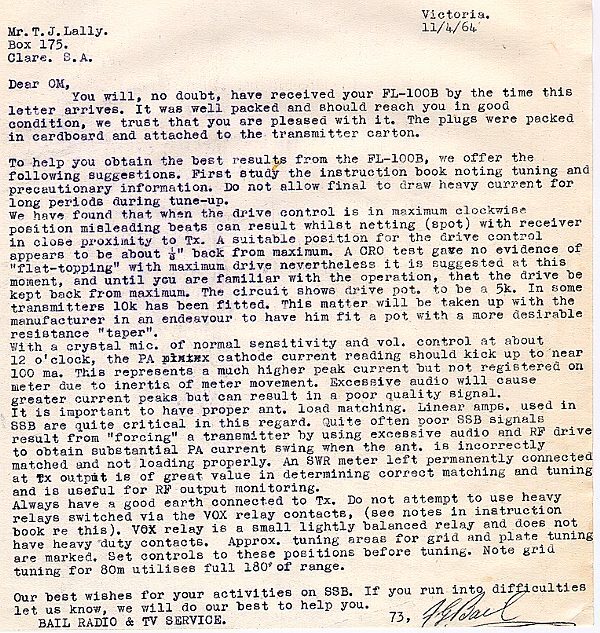 The letter below was written to an early purchaser of an FL-100B from their first Australian shipment, following its delivery, and gives an idea of the trouble taken by Bail's to achieve this end. In the early days of Bail Radio & TV Service's introduction of Yaesu Musen SSB equipment to the Australian hams some resistance was experienced to the Australian selling price of the equipment. 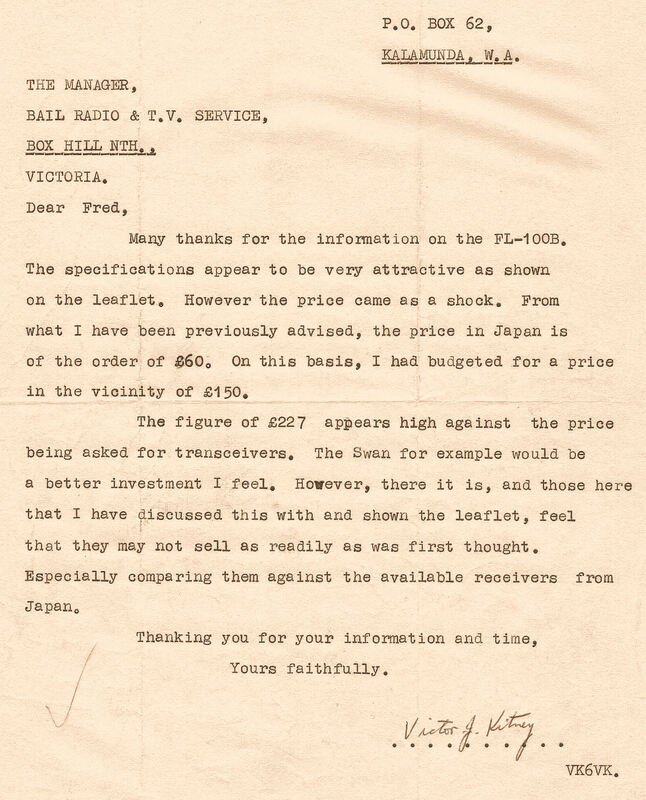 Below is shown a 1964 letter from VK6VK, Mr Vic Kitney of Kalamunda in Western Australia, expressing his concern over the Australian price of an FL-100B SSB Transmitter. 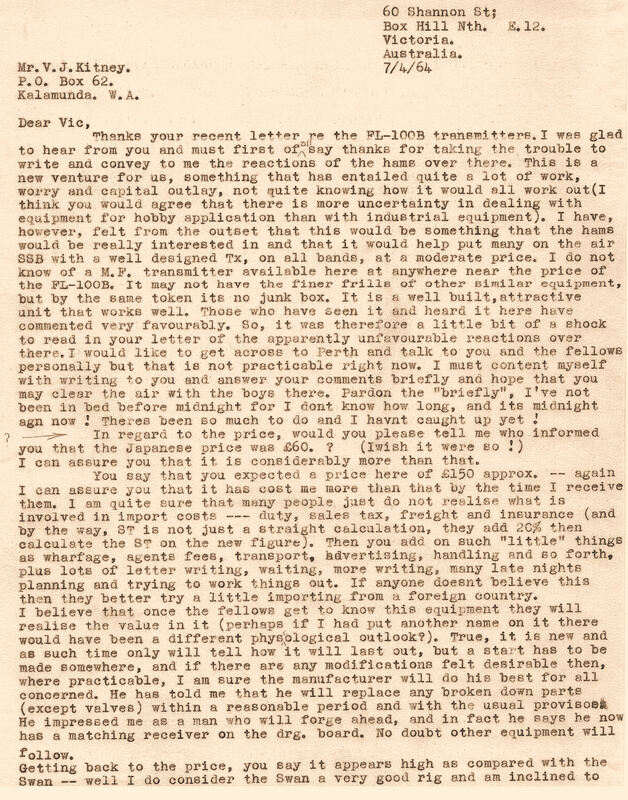 Fred Bail's Response to the above letter is shown below. 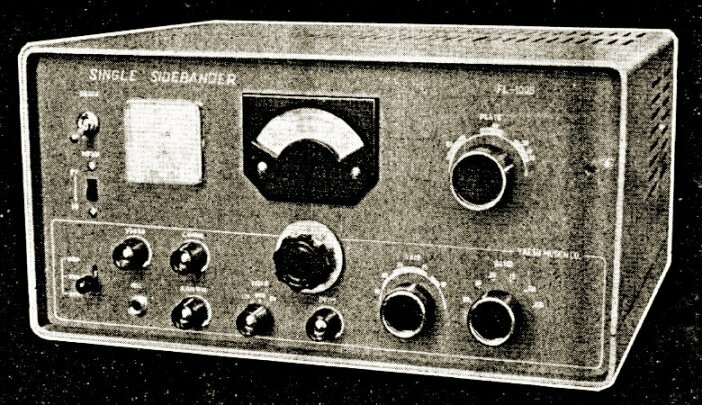 Because Yaesu's early quality control program was still gaining momentum in 1964, Bail Radio & TV Service found themselves thoroughly checking every transmitter before sale, a task which also incorporated adding, for safety reasons, a 3-core power cord, Australian standard 3 pin plug as well as a slow blow fuse in the power amplifier's high tension circuit. An example of one of Bail's check notes for an FL-100B from their first Australian shipment is shown below. The two extracts above from Bail Radio & TV Service' Equipment Check Notes give an indication of the extent of testing they performed on each new transmitter in order that the equipment gain a good reputation on the Australian market. 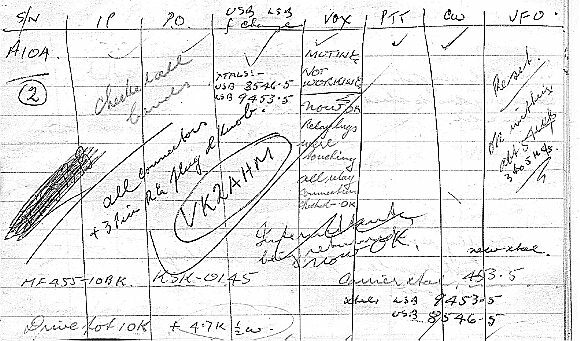 These particular notes, dated May 1964, are for FL-100B S/N A104 which was subsequently sold to amateur radio station VK2AHM, R. J. Whyte (pictured below) of Wentworth, NSW. The transmitter had three faults which required rectification, including a dry solder joint in its electronic voltage regulator, causing voltage variation at the power amplifier valve's screen grid. Other faults were an open circuit resistor in the VFO, intermittent carrier oscillator crystal and low ALC voltage. Modification details, such as change of diode type to remedy the ALC fault and the additional HT fuse were fed back to Yaesu Musen Co. who later incorporated these changes into their production line. 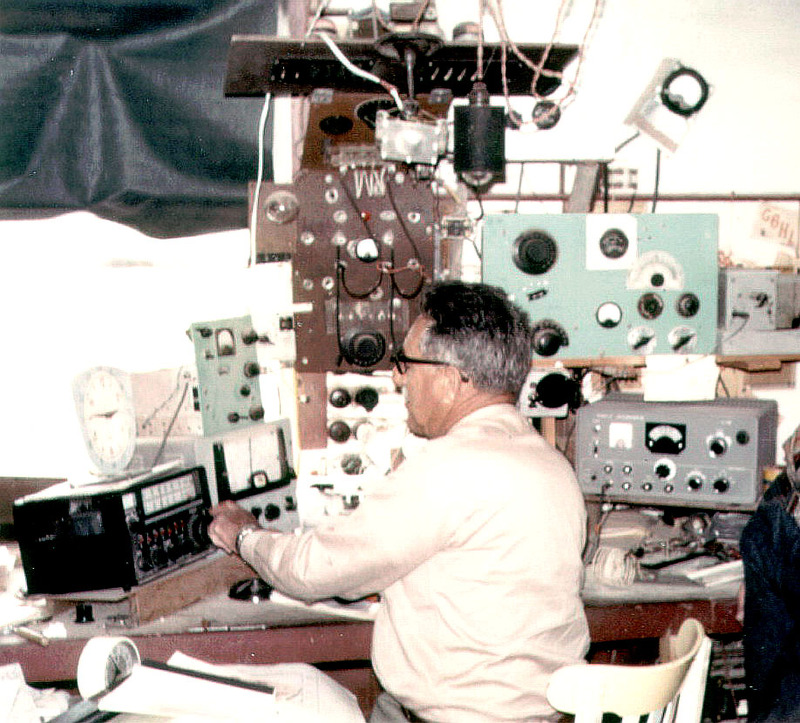 An early purchaser of an FL-100B from Bail's first Australian shipment, R. J. Whyte VK2AHM on a sheep station near Wentworth in South Western NSW, is shown here in his shack operating a RL Drake 2B receiver with the FL-100B located just behind him. In June 1964 Yaesu Musen Co. released their Mark 3 version of the FL-100B, the most attractive so far. It differed from its predecessors through virtue of having a new fawn coloured case with perforated ventilation holes in place of slots, and a front panel finished in satin silver with engraved black lettering. The Mark 3 FL-100B still did not have the large VFO knob which featured on later F-Line equipment. By early 1965 Yaesu Musen had introduced their more refined F-Line 5 band HF SSB amateur radio station, consisting of the FR-100B mechanical filter SSB receiver, SP-100 matching speaker, FL-200B mechanical filter 200 watt PEP input SSB transmitter and FL-1000 1 kilowatt PEP input linear amplifier. The photo above shows Yaesu Musen's founder and President, Sako Hasegawa JA1MP, operating an F-Line station less the FL-1000 amplifier. Sako Hasegawa passed away in 1993, Jun Hasegawa is the company's current president. F-Line equipment was finished in a fawn crackle paint with satin silver front panels and black engraved lettering. Knobs were either all black (on the early units) or black with silver inserts. Early quality control problems with Australian stock saw Bail Electronic Services having a number of the fawn F-Line cases re-sprayed before releasing the equipment to the Australian market. The author would be happy to hear from anybody who has very early Yaesu equipment, such as FL-20 Mark's 1 and 2, or FL-100B Mark's 1 and 2. By way of some background information on the author, Greg Whiter,VK3CA, was employed by Bail Electronic Services (see 1974 staff photo) from the late 1960's through to 1977. Following this period he formed the company GFS Electronic Imports, GFS Electronics and then Portable Masts Australia Pty Ltd, of which he is a director today.